Physics has a certain electricity about it, doesn’t it? But it also has mechanics and optics and waves, other topics covered in the Physics: Content Knowledge (5265) exam offered by Praxis. 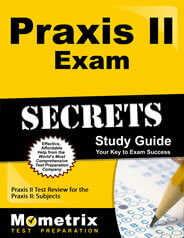 Educators take the Praxis exam to show they have the expertise to teach at the secondary school level. Physics: Content Knowledge is an important test. Several states use the exam as part of their licensure process. With so much on the line, it’s important candidates know what to expect on test day. This guide will help by offering an insight into the test as well as information on a study guide to help you prepare for the exam. Candidates pay a $120 fee to take the Physics: Content knowledge (5265) exam. There are 125 selected-response questions on the exam. Can I bring and use my own calculator during the test? Will I be provided any tools to help answer questions during the Physics: Content knowledge (5265) test? Yes. Candidates will have access to the periodical table of elements. Where can I take this exam? Candidates can use the test website to find a test center location nearest to them. 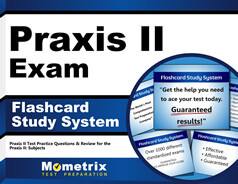 The Praxis tests are delivered at private testing centers that have locations across the country. Mechanics. Topics include motion and forces; mass, speed, and other scalars; displacement, velocity, and other vectors; linear, circular, and projectile motion; relative velocity; Newton’s laws of motion; sum of forces and torques; normal and frictional force; and impulse and impulse momentum. Electricity and Magnetism. Topics include electric and induced charge; electrical field, flux, potential and potential energy; conductors, insulators, semiconductors, and their electrical properties; alternating and direct current; series, parallel, and direct circuits; and magnetic field, flux, and force. Optics and Waves. Topics include wave types and characteristics; scattering, absorption, and transmission; Doppler effect fundamentals; moving source and observer; sound, including wave, pitch, and beats; electric and magnetic field; and prisms. Heat, Energy, and Thermodynamics. Topics include temperature; heat and thermal energy; heat transfer mechanisms like conduction and radiation; energy forms; phase transitions and diagrams; thermodynamic laws; and heating/cooling diagrams. Modern Physics, and Atomic and Nuclear Structure. Topics include matter; atomic and subatomic structure; radioactivity; alpha and beta particles; and modern physics. Scientific Inquiry, Processes, and Social Perspectives. Topics include scientific inquiry, including problem identification; hypothesis forming and testing; theory, model, and law development; variables, both dependent and independent; how physics principals developed; and data collection, processing, and analysis. Please check the exam website since states have different policies on releasing test scores. What is the test’s passing score? You’ll need to check with your local jurisdiction since states set their own passing scores. You should bring a driver’s license or another piece of government-issued identification that contains your photo and signature. You’ll also need to show a second piece of ID, like a student ID, and your admission ticket. Please arrive at least 30-minutes before your test time for pre-test check-in and other exam procedures. Can I bring my mobile phone and other personal items into the test room? No. All personal items, including electronic devices, are banned from the test room. You can consult the test center rules for a list of prohibited items. I do need an excellent study guide to help me prepare for this test. What do you suggest? Since you’re becoming an educator, you want study materials designed by teaching professionals. The Mometrix study materials have been researched and written by professional educators who understand how to best prepare candidates to pass exams like the Physics: Content Knowledge (5265) test. Our study guide walks you through the test areas you’ll see on the exam and explains how you can navigate questions to find the right and wrong answers. Our flashcards are the perfect study tool, especially for those with a hectic schedule. The flashcards clearly explain the answer to questions and are small enough to go anywhere you go. If you need to study for the physics exam, you’ll want to buy these study materials.